Lt. Col. Karamveer Singh, father of Major Aditya Singh who was named in the FIR registered by the J&K Police after the Shopian firing on January 27 in which three civilians were killed, has approached the Supreme Court seeking quashing of the FIR against his son and other Army personnel. 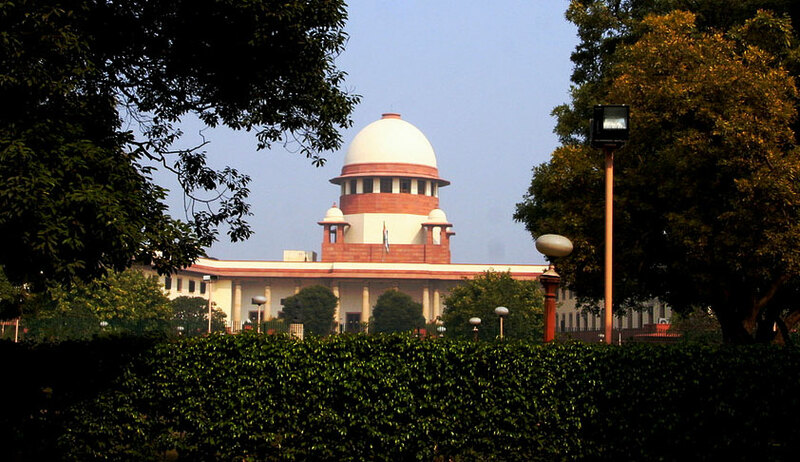 In his petition, filed through advocate Aishwarya Bhati, he also questioned why the J&K Police failed to register an FIR under the Ranbir Penal Code against the persons involved in the terrorist activities which had caused damage to property of the Government of India. The decorated Army officer prayed for directions to issue guidelines to protect the rights of soldiers so that no soldier is harassed by initiation of criminal proceedings for bona fide actions in exercise of their duties. Claiming that his son was not present when the firing had taken place, the petitioner submitted that the personnel were discharging their bona fide duties in the disturbed area of J&K under the Armed Forces (Special Powers) Act (AFSPA). The offence can’t be civil in nature and FIR can’t be registered under the Ranbir Penal Code, rather it should be considered under the Army Act. Seeking protection for Army personnel discharging duties in the disturbed area, Lt Col Singh raised several issues. The Army personnel concerned was accused for an offence triable under the Army Act that is committing culpable homicide amounting to murder of a person not subject to military, naval or air force law while on active service. Therefore, the offence that is alleged to have been committed is not a civil offence but is clearly, an offence triable under the Army Act. It is, therefore, very alarming and incomprehensible as to how the name of petitioner’s son or for that matter the name of any serving personnel can be so expressly cited in First Information Report recording an incident in which the Army as an instrument of the Central Government was lawfully conducting itself. Does this act of the police authorities symbolise their loss of faith in the legitimacy of the activities carried out by the Armed Forces? Have they forgotten that the orders so received by the Army stem from the same source from which they receive theirs? (i.e., the Constitution of India). Whether serving personnel of the Armed Forces of India operating in the State of Jammu and Kashmir can be held individually for acts done in good faith in pursuance to orders passed by the Central Government? Whether serving personnel of the Armed Forces of India operating in the State of Jammu and Kashmir warrant no protection from the terrorist atrocities committed against them by the people of Jammu and Kashmir? Whether serving personnel of the Armed Forces of India operating in the State of Jammu and Kashmir are perceived as enemies of State agencies and therefore will always be regard as villains and not given any protection? Whether serving personnel of the Armed Forces of India operating in the State of Jammu and Kashmir do not deserve the same dignity and respect commanded by other belted officials of both Central and State agencies operating in the State of Jammu and Kashmir? Whether the terms of engagement followed by serving personnel of the Armed Forces of India operating in the State of Jammu and Kashmir in dealing with unlawful assemblies and other terrorist organizations towards the protection and reverence of the sovereignty and integrity of India are not perceived to be justified by law and, therefore, individual personnel will find their names individually figuring in First Information Reports filed by the unlawful elements themselves? Whether the life, limb and property of serving personnel of the Armed Forces of India operating in the State of Jammu and Kashmir are of no value to the State agencies? Whether the arbitrary exercise of executive power in the State of Jammu and Kashmir against serving personnel of the Armed Forces of India operating therein warrants no separate investigation? Why the State Govt till date not lodged FIR against them unruly and violent mob under Sec 2K read with Sec 15 of the Unlawful Activity (Prevention) Act when this Act is well defined in the Sec as an offence. Whether the terrorist activity committed by the civilian population of Shopian will not be duly registered as a First Information Report and be duly investigated ensuring that the terrorists involved are brought to justice? (vi) any other appropriate writ/order/direction as this Hon’ble Court may deem fit and proper in the facts and circumstances of the case.